Flovac Systems is very happy to announce the joint cooperative agreement between Flovac and Coway Entech of Korea. Coway Entech has agreed to represent Flovac on the Korean peninsular and will pursue a number of projects looking to use vacuum sewerage systems. Coway Entech is the largest supplier of vacuum systems in the country and has completed more than 23 systems for primarily industrial projects including Manufacturing companies and Nuclear Power Plants. Coway was established 50 years ago as the first total water solution provider in Korea. CEO Juno Jung has created one of the most trusted companies in the water industry in Korea. With the recent addition of Green Entech, Coway has moved into sustainable solutions for clients both in Korea and in many countries internationally as well. Coway Entech has developed many unique solutions using vacuum systems for their clients, including being the first company to use stainless steel for their pipework. They were also teh first to use a vacuum sewerage network within a nuclear power facility. 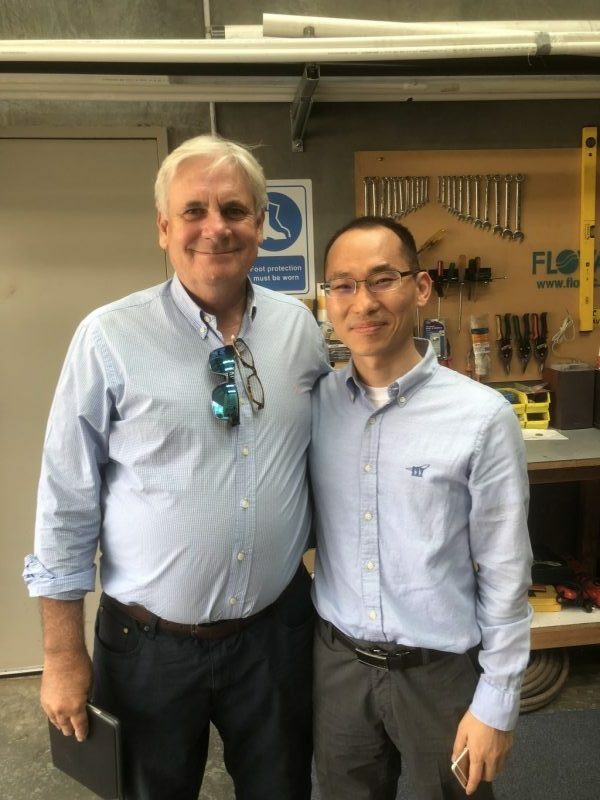 Mr Changil Koh the groups Deputy General Manager visited a number of projects in Australia with Founder and CEO John Radinoff and Flovac’s operations and engineering teams. Over the years Flovac has been host to a number of people from Green Entech and a close relationship of trust and appreciation has formed. Mr Koh felt that Flovac’s products were the most technically advanced on the market and would be able to provide the best support for the Korean projects. We look forward to a long and happy relationship and an expanding market.